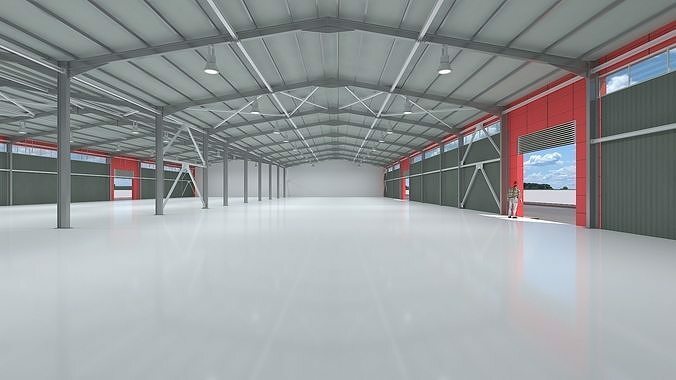 Industrial hangar (shed) with detailed metal structure , modeling with 3ds max 2018 , rendered with vray 4.10.02 ... this model is a typical industriel shed like storage units or designed for indutrial equipements . its original design was for an air separation unit with chemical and industrial equipements . with a bonus scene .